TROPIC SEAS SPAS - ESCAPE TO A TROPICAL PARADISE! Tropic Seas Spas brings paradise to your backyard. Escape to a relaxing retreat and enjoy the ultimate hydrotherapy massage that leaves you feeling refreshed and recharged. Each Tropic Seas Spa has been handcrafted to provide a feature-rich, optimal mix of elegance and functionality. 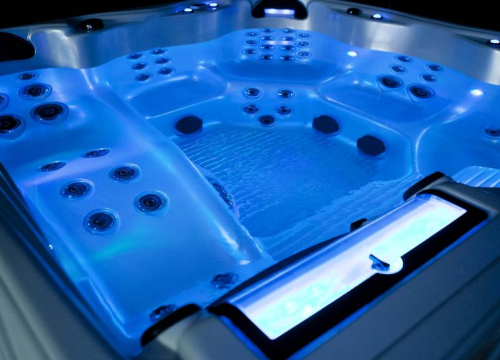 These spas are built with the ideal combination of innovative engineering and energy efficiency. Sink in, sit back, relax, and enjoy the many features ranging from the sophisticated jet system to the LED lighting. 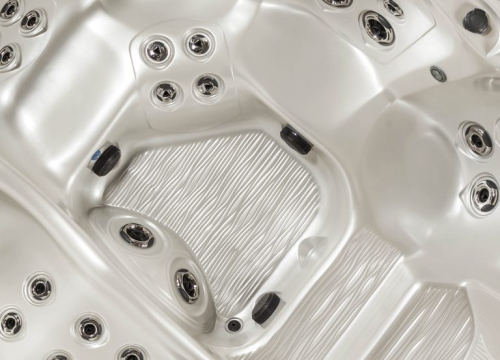 A passion to detail and commitment to the highest standards are evident in all Tropic Seas Spas models. Tropic Seas Spas combine handcrafted artistry and ergonomic design to create the ultimate spa experience. Graphite grey accents highlight the spas' beautifully sculpted lines. Comfortable, ergonomic seats are at varied depths to accommodate different spa users. 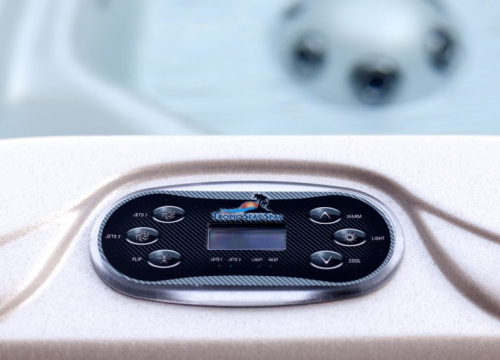 Tropic Seas Spas come with an assortment of standard features, and an array of optional ones. THE ULTIMATE MASSAGE. Tropic Seas' advanced jet design offers an amazing hydrotherapy massage. 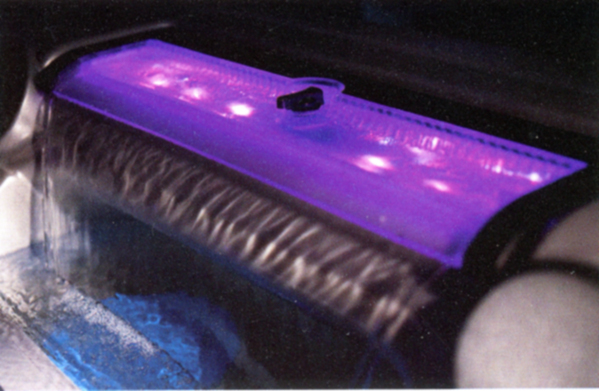 Each spa comes with a complete therapy system that is comprised of different types and sizes of jets. Roto jets push water in a right-directional spiral to create a unique water pattern that intensifies your massage. Perfect pressure is provided with Direct jets that range from two to five inches in diameter. Every seat has an arrangement of jets strategically placed - making the ultimate combination to target every major muscle group. Control your own massage by turning jets and air controls for maximum to low pressure. THERMALWRAP INSULATION SYSTEM WITH ABS BOTTOM. 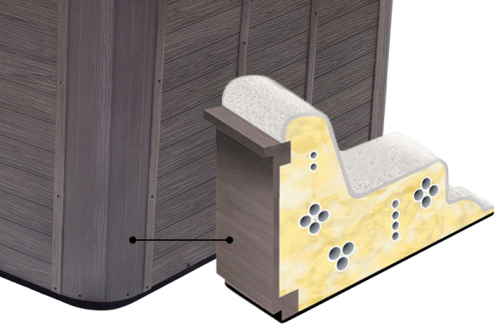 This double-layered insulation system features a reflective sheet of bubble-foil lining the inside of the cabinet, combined with a coat of Icynene™ foam that adheres to the spa's shell and hose connectors. The insulation retains heat, keeping the spa energy efficient and the water at a tropical temperature. HAND SCULPTED FOR YOUR BODY. Tropic Seas Spas combine the hand crafted artistry and ergonomic design to create the ultimate spa experience. Graphite grey accents highlight the spas' beautifully sculpted lines. Comfortable, ergonomic seats are at varied depths to accomodate different spa users. Dramatic textured seat and floor surfaces provide a sensational massage on your feet and toes. Sit in the cool-down seat and take advantage of the unique massage nodes that gently caress your back. AMBIENCE - 12 IN. TROPICFALL. The peaceful TropicFall provides color therapy and the soothing sounds of falling water, creating a relaxing environment. OZONATOR. 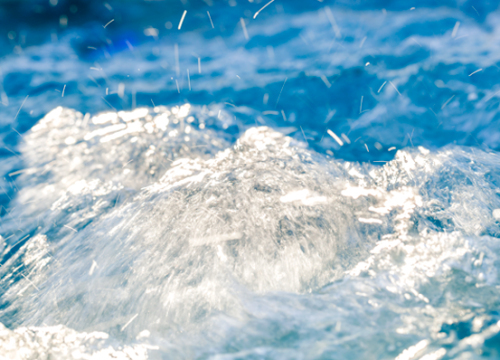 The Ozonator provides additional water treatment and requires fewer harsh chemicals to be added to the spa's water and purifies water faster than chlorine. It is not irritating to humans or equipment. 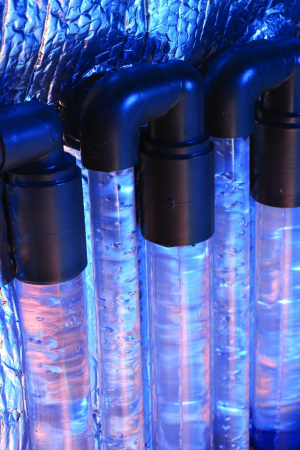 Ozone purifies water and air very quickly and efficiently - 3,000 times faster than chlorine. Ozone leaves no by-products except oxygen. In contrast, chlorine leaves a chemical by-product called hydrochloric acid and additional salts in water applications. DIGITAL CONTROL WITH LCD COLOR ILLUMINATED TOPSIDE. Take control of your spa with an intuitive, easy-to-use, digital LCD display. 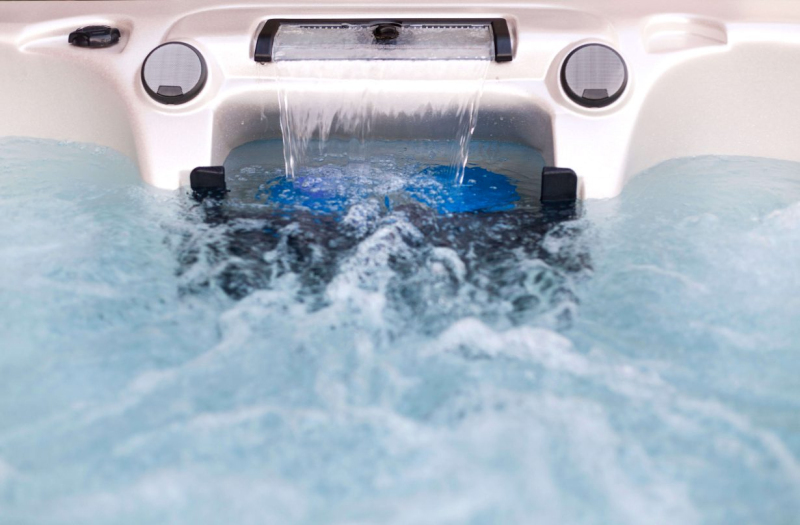 The topside allows you to change and adjust various features of your Tropic Seas Spas. TROPICSTAR LED LIGHTS. The beautiful LED lighting system illuminates the texture and detail of the spa's interior. This LED light system can be set on one favorite color, or the colors can slowly fade from one to the other, creating a truly spectacular light show. These lights effortlessly highlight the water features. STAINLESS STEEL/GRAPHITE JETS. Treat yourself to the ultimate full-body massage with these revolutionary jets. 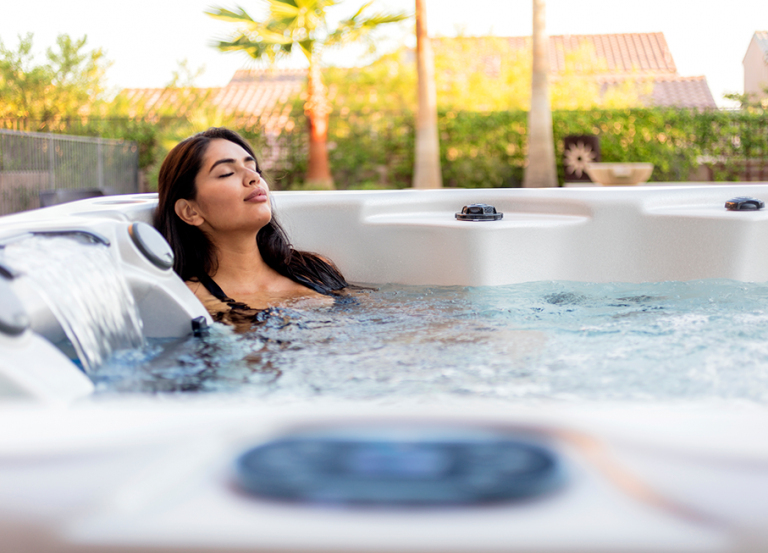 The innovative designs of our spas feature powerful jets that relieve tightness and relax muscles, melting away tension and pain in a matter of minutes. One soothing moment enjoying the Neck Jets and you will agree that it is superior to any other shoulder or neck massage. 50 SQ. FT. FILTER. Filtration removes contaminants such as dirt, metals and oil as water passes through a microporus membrane. Larger particles are trapped in the upper layer and smaller particles, in the 1-5 micron size, are trapped in the lower part of the composite. The pleated filter has exceptional dirt-holding capacity and low pressure drop. It retains its shape and is excellent for water filtration. 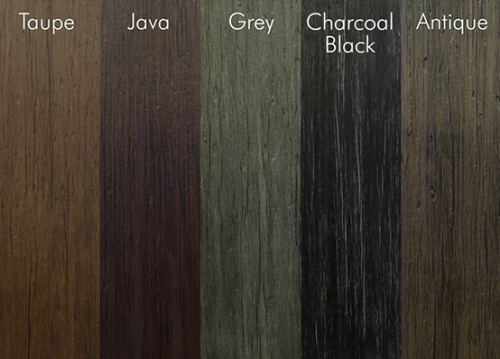 The polyester construction resists most chemicals. WARRANTY. Lifetime Structure. 5-Year Surface. 3-Year Parts, Labor, Plumbing and Electrical. 1-Year Cabinet. Quality Craftmanship. 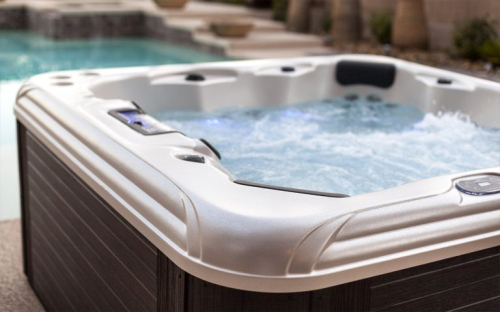 Tropic Seas Spas are built from the ground up to the highest standards. We start building our frames using only pressure-treated lumber on top of a full ABS base. This solid foundation is covered with our beautiful, durable cabinets. 4 IN. 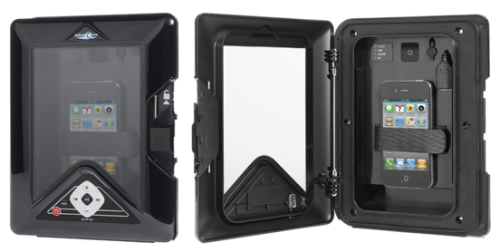 MAXIMUM TAPERED ASTM COVER. The foam cores of our durable covers are polystyrene foam that tapers from 4" to 2.5" to allow water to run off. Each foam piece is then grooved and fitted with a galvanized steel channel for support along the hinge. Each foam core is then sealed with a 4 mil polyethylene sheeting to help prevent water absorption. 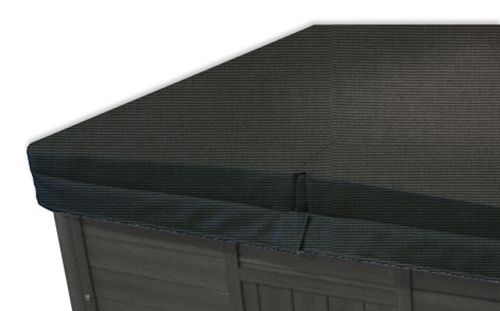 The covers are built to withstand the effects of sun and weather, saving energy with lower total cost of ownership. FULL FOAM ENERGY EFFICIENCY PACKAGE. The optional full-foam insulation offered in Tropic Seas Spas provides the most efficient heat retention available in any spa on the market. It dramatically increases the strength and life of the spa's shell. The Icynene brand of full foam secures plumbing to the shell for longer plumbing life and conforms to all curves and spaces to provide a seamless air barrier. Increasing the durability of the structure, the foam provides consistent R-value to the spa. Icynene foam is not water permeable. It allows structural moisture to diffuse and dissipate and will not trap moisture inside its cells so it dries completely. (Required for Spas in the States of CA & CT). MAXIMUM THERMAL TAPERED ASTM COVER. 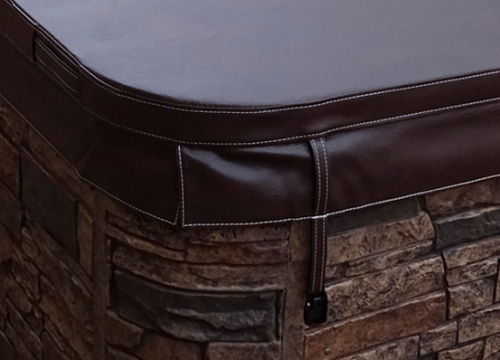 With this deluxe cover, your spa will stay protected and well-insulated to keep in the heat.